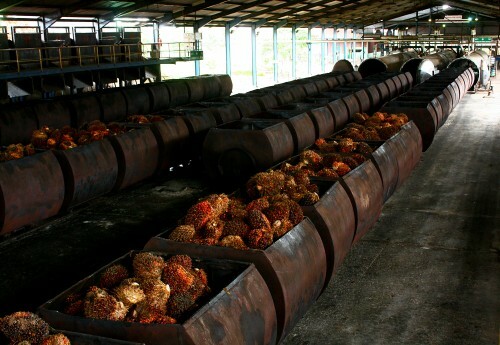 One of major edible oils refinery plant in Riau – Sumatera recently has invited ZI-CHEM to provide technical advice related to their corrosion problem in after boiler system. This CPO refinery plant has a high pressure boiler that supply steam for both power plant and process plant. They have been using sodium sulfite as FDA compliant oxygen scavanger. After a detailed investigation by ZI-CHEM technical support, it was conluded that the usage of sodium sulfite as oxygen scavenger is the main cause of corrrosion problems in the boiler system. In high pressure boiler systems sodium sulfite breaks down at pressures as low as 600 psig (41 bar abs) resulting in the formation of sulfur dioxide or hydrogen sulfide. Both are corrosive gases, which leave the boiler with steam, resulting in low pH steam and condensate and potential attack throughout the system. ZI-CHEM then offered new chemical technoligies that is suitable for high pressure boiler and has FDA approval as well. This improvement program will be applied in the plant immediately. To learn more about ZI-CHEM products, please click here.